The Channel Island of Sark is looking to find a new farmer with 'plenty of experience' to develop local dairy products after the last farmer stopped producing two years ago. The successful applicant would also need to bring over a herd of cows to the island, which is a Crown dependency and is home to just under 500 people. It comes as the island's last dairy farmer, Christopher Nightingale, closed his business down in 2017 after thirty years of trading. He cited increasing costs, a lack of farming subsidies and a lack of land stability as reasons why he quit. At the time, the Sark community said it was a 'huge disappointment' that local milk will no longer be sold on the island. However, Richard Axton, organiser of the Sark community dairy, told the BBC this could now change. 'We need people with dairy farming experience. Ideally, a couple who are wanting to develop a new business,' he said. Home-grown dairy products would benefit local businesses who have been relying on imports since 2017. 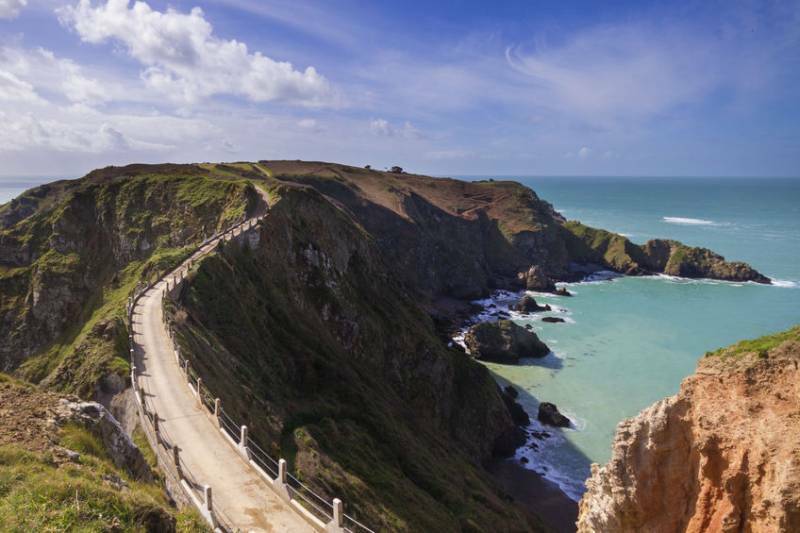 Sark is located north of the French coast in the English Channel, and forms part of the Bailiwick of Guernsey, with its own set of laws based on Norman law and its own parliament.